For the XL1200 only. 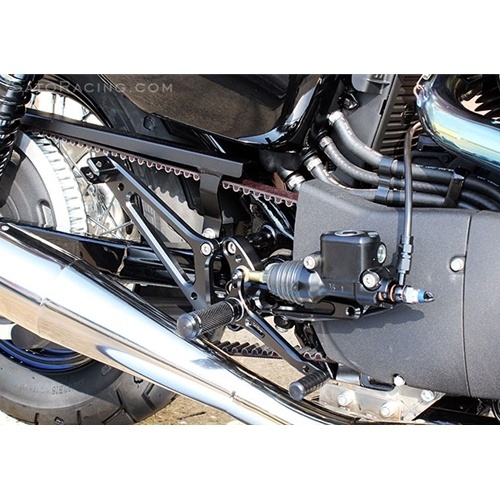 This Tandem Bracket is used with stock passenger pegs. Made of tough billet aluminum in BLACK.